Modern versions of Mac OS X include a great tool called tmutil that lets you interact with with Time Machine from the command line. It’s a powerful utility that has a ton of options, and we’ve used it before to disable local snapshots, but for the purposes here we are going to use tmutil to compare Time Machine backups and list changes between the compared backups. Launch the Terminal from /Applications/Utitilities/ and let’s get started. Thanks Will. I just had a Time Capsule backup get corrupted. This will come in handy with the .sparsebundle I had to copy off to another external drive. Good thing I stagger the backups between an external drive and the Time Capsule. 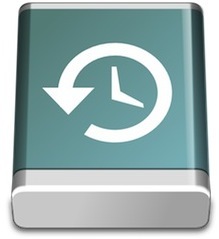 Its hard to understand why the whole backup is replaced when it get’s corrupted….. Not sure if i would have bought the TimeCapsule had I known this. This was very helpful in comparing two backups to determine which one was best for restoring. Thanks!